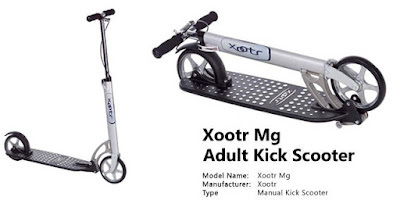 XOOTR makes the best commuter scooter for adults. Made in the US and winner of many awards, the XOOTR is light, adjustable, foldable and rideable. Ideal for commuting to work or riding the neighbourhood with the kids. Even Steve Jobs had one! · Easy to pick up, Easy To Fold.